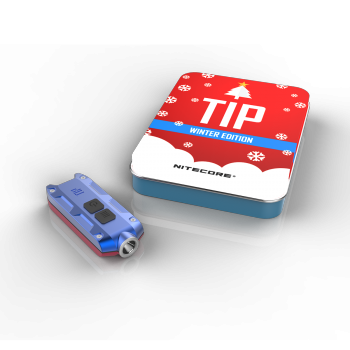 Following the popular Tube series, the Nitecore Tip is a premium, higher output version with a metal body. A built-in li-ion pack and micro-usb port allow for ease or recharge. This Winter Gift Set includes a USB charge adapter, a dual colored Tip, and a case with card you can fill out. Size: 2.39" x 0.96" x 0.53"